We are launching a new site devoted ENTIRELY to WordPress Themes!! Subscribe to become one of the first to know when our super-secret brand new mega-awesome website exclusively for WP Themes launches! The first post will be an in-depth review/comparison of various WordPress plugins designed specifically for Affiliate Marketing. I will also dive into the very best plugins to use if you are an Amazon affiliate (yes, that was plugins PLURAL, because at this point in time no single amazon affiliate plugin does everything we need). These plugins include Thirsty Affiliates (and it’s numerous available add-ons), the suite of plugins from BoostWP including Better Links Pro and EasyAzon Pro 4 (including their new awesome “EasyAzon BestSellers” and “EasyAzon Tables plugins”! ), ReviewAzon 2 (which is incredibly feature-rich but is no longer being supported at all by the developer — they’ve even removed the documentation... never mind… they’re not even selling it any more), WP Zon Builder (a slightly less feature-rich wordpress plugin for amazon affiliates, but one that actually is currently providing updates and active support to customers), WPRobot and its many modules, as well as off-site solutions like Datafeedr — and probably a few more wordpress affiliate plugins as I come across them. If there’s a particular wordpress affiliate plugin that you’d like to see a review of, please do let me know! Best WordPress Themes Site COMING SOON! 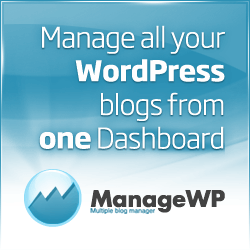 The third post isn’t really a post… It’s a whole new website devoted exclusively to WordPress Themes! You’ll find in-depth reviews (focusing on everything from front-end UI to back-end UI, SEO-friendliness, load time, compatibility with major plugins such as woocommerce, etc) of some of the major premium wordpress themes on the market (like the Genesis Framework and Child Themes from StudioPress, WP themes from Elegant Themes (including the very popular Divi 2.0), the Dynamik Website Builder which enables you to create custom child themes for Genesis, some of the most popular ThemeForest themes (including Avada, X, and 7), and more (hey, if you’re going to shell out cash for a WordPress theme, it better meet your needs, right?! You’ll also find list upon list of “Best WordPress Themes for ____”, etc., that will include both premium and free themes. I’m holding off on posting the URL for that site for now as I haven’t yet launched it. WordPress Drag-and-Drop Page Builders / Themes! I’ll also be providing detailed reviews of WordPress drag-and-drop page building plugins and themes, like Thrive Themes and their awesome Thrive Content Builder plugin, the Ultimatum Drag and Drop Theme Builder and Framework, the Beaver Builder page builder, Visual Composer (and it’s add-ons), and more. Subscribe to our newsletter to be notified the moment it goes live – I think you’ll all be excited about it! I’ve been thrilled to be such a useful resource for WordPress users looking for wp templates and themes all the way back to v1.x of WordPress in 2005, and I’m super happy to be about to do that again. And, as above, if there’s a particular premium wordpress theme that you’d like to see reviewed, shoot me an email. So, stay posted, dear readers, and be patient – quality goodies are coming your way soon!